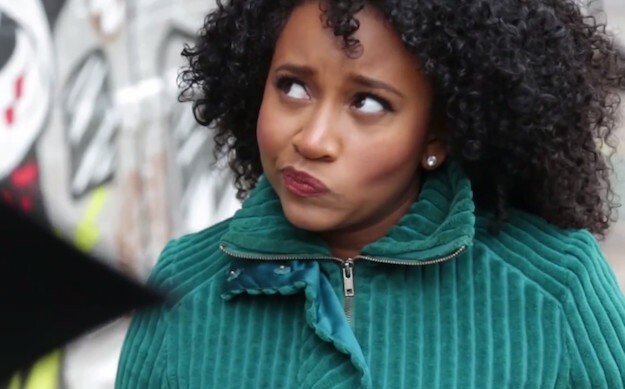 Web series Black Actress emerges as the answers to the twenty something’s silent request for representation. Executive Produced by esteemed black actresses Essence Atkins (Smart Guy, Are We There Yet?) and Tatyana Ali (The Fresh Prince of Bel Air), Black Actress addresses Hollywood’s overt yet unstated issue with color. As the creator and star of the show, Degrassi Alum Andrea Lewis captures the complexities of being black, female and aiming for the stars on Hollywood Walk of Fame and beyond. Black Actress follows protagonist Kori Bailey’s journey through her acting career, friendships and romance. Each episode begins with a short but profound testimony from familiar faces such as (but not limited to) Tatyani Ali (Ashley from the Fresh Prince of Bel Air), Garcelle Beauvais (Fancy from The Jaime Foxx Show), Naturi Naughton (Notorious), and Jenifer Lewis (Think Like a Man). Offering testimony to the trials and triumphs of being black and female in Hollywood, these actresses shine light into Kori’s journey of self discovery. Set in New York City Black Actress captures the intimate ambiance of the big city and after a single episode the characters become people you care about. From the best friend who’s s comic and a confidant (Izzy, Allison Edwards-Crewe), to the boy you like but can’t let in (Romeo Stein played by Rob Vincent), to the comedic friend who shares your ambitions (Alica played by Suzannah Gugsa) Black Actress discards old tropes and creates a new images that reflects young black reality as opposed to westernized black fantasy. Andrea Lewis as Kori Bailey: With a crown full of curls, a gentle spirit and worldly ambition- Kori is the leading lady of Black Actress. Unlike the portrayals that come before her, Kori is not a heroine for the masses. Rather, Kori represents the cause and cure for her problems and with good company beside her, she shows that while the road to success is lonely, she is never alone. Izzy: Kori’s best friend and confident, Izzy is as outgoing as she is wise. Izzy is there in Kori’s hour of need with an open heart and sound advice. In season 1 episode 4, Izzy proves wise beyond her years addressing Kori’s issues with the line “You make up your mind about how things are supposed to be and when it isn’t you lose all hope.” These words transcend the series and speak to any and every black woman who has inaudibly questioned her own worth. Izzy also resoundingly asserts Kori as “complacent with the struggle.” For a black actress the seduction of struggle lures in every slammed door, and those that never opened to begin with. In the same breath, this seduction mirrors the plight of the black woman. To often our daily perils seem to roll off our shoulders only to eventually become how we feel about ourselves. Alicia: Also an aspiring actress, Alicia identifies with Kori’s journey in landing that dream role. With her doe eyes and good intentions,Alicia represents the beauty in the socially awkward friend who adds to your character. Romeo Stein: From rolling stone to a potential Mr. Right, Romeo Stein is Kori’s love interest. with his slim physique, chiseled features and barit one voice, Romeo is surely eye candy, but his status as a math tutor adds depth to his good looks. Like Kori, Romeo is an aspiring actor and his presence adds a sweetness to her journey. I personally find it very sweet that the series features black love as its romantic center. I commend the courage in Black Actress in showing black love as blossoming beyond the walls of doubt. There is something revolutionary about seeing butterflies between the kings and queens of the black diaspora. Manicurist, Jean: Jean represents the confidant often found in those who render our routine services. Jean also represents those in our life who are solely able to see things simply. It is this simplicity that leads Jean to deter Kori from her dreams, a reality that all face in the pursuit of success. However, Jean and those like her embody the obstacles we see and hear when we take our eyes off our goals. What I find most beneficial about protagonist Kori is that she fails to fit into any of the stereotypes that have come to define black femininity. While there are many stereotypes that attached themselves to black women over the years, hyper sexuality, in addition to portrayals of black women as neck and eye rolling are perhaps the most unwavering. Even protagonists that stray away from this cliche attitude, are depicted as sexually careless. Kori brings a refreshing new edge to this portrayal. While there are no implications that the protagonist is a virgin, her sexual integrity is maintained throughout the series. Bailey also deters from the “weave” that has come to be expected of black women. With a beautiful crown of curls and a pleasant disposition, Kori issues a portrayal of a black female who is not only natural and classy but likable and nice. It is also worth mentioning that the show features actresses from throughout the black female color spectrum. It is especially empowering that the three leads are variants of brown. While the beige and butternut women are certainly present, they align the background. With that said, I also like that the black starlets all exude different variants of natural hair. All actresses don an assortment of styles from silk presses and braids, to a casual blowout. This depiction not only makes the characters approachable in their aesthetics, but demonstrates that there are many ways of beauty within blackness. Although it was rather hard to watch, Black Actress‘ portrayal of the internal conflict between black women in the strive for success, the portrayal was a painful yet accurate. Season 1 Episode 3, guest starring Reagan Gomez Preston (Zaria from The Parenthood), and Franchesca Ramsey (Sh*t white girls say to black girls) as Daniela, features Bailey pursuing yet another audition but with a familiar face on the panel. Prior to the audition, actress turned casting director Daniela makes a point to converse with Kori when they casually cross paths. Flash forward to the day of the audition, Kori wows despite being issued a deterring suggestion from Daniela. After completing the audition, Kori’s performance earns three nods from the panel but a solid and smug “no” from Daniela. Daniela insultingly refers to Kori’s performance as “community center” level and Kori is eliminated a candidate for the role. While this is certainly not always the case, black women are largely conditioned by society to believe that there is a sole spot for success. This belief causes many black women to sabotage one another to increase personal opportunity. This episode issues the necessary visibility as an initial step in the healing process. For in a world where the support of other factions is uncertain, we as black women need to support one another. Black Actress features insight from black actress Aisha Hinds who brilliantly remarks: “ If one of us makes it, we all make it.” While it is often hard to accept personal loss, one black female foot across the finish line, is a victory for all. In so many ways, being a black actress is synonymous with being any variant of a black female professional. So while I am not a black actress, I am a black woman, an aspiring academic and a black female writer. My attributes of self align me with most, if not all the dynamics presented on the series. From tension with other black women in the field, to grudgingly donning the stench of my insecurities under my perfume, Kori Bailey is very much myself and many other twenty- something black girls on a challenging yet beautiful journey to womanhood. Despite whether viewers of Black Actress are in fact pursuing a career in Hollywood, in a way we are all awaiting our big break. In featuring Miss Lewis and her project on Whispers of Womanism, I hope to inspire others to consider their journeys as a black women and artists. Inspired by her experiences, Lewis manifested her own destiny, thus she created her own “big break.” Rather than compartmentalizing them as hobbies, Lewis incorporates her love for acting, writing and singing into Black Actress. May her courage inspire our generation to see beyond settling into the endless feat of creating. 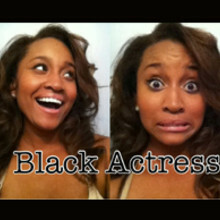 Please help fund Black Actress by donating to the Kickstarter Campaign. Your donation will go to funding the remainder of Black Actress Season 2, in addition to future JungleWild Productions. Thank you in advance for your contribution to positive portrayals of black women in media/popular culture! Good post Saaraa. I saw a few of these episodes last year on Youtube. I thought a few of the episodes were pretty accurate and funny as well. I liked Jenifer Lewis,she’s always funny.lol I also liked Tatyana Ali and Garcelle Beauvais. Both are very talented actresses. It was great to see Reagan Gomez Preston. I’ve always had a big crush on her. 🙂 I look forward to seeing future episodes. Reblogged this on Coloured Girl Problems .